It’s that time of the year again, where CrossFitters across the globe keep their eyes glued to their phones and Social Media each week to find out what’s coming next for the CrossFit Open. The CrossFit Open is a series of 5 workouts performed over the span of 5 weeks. 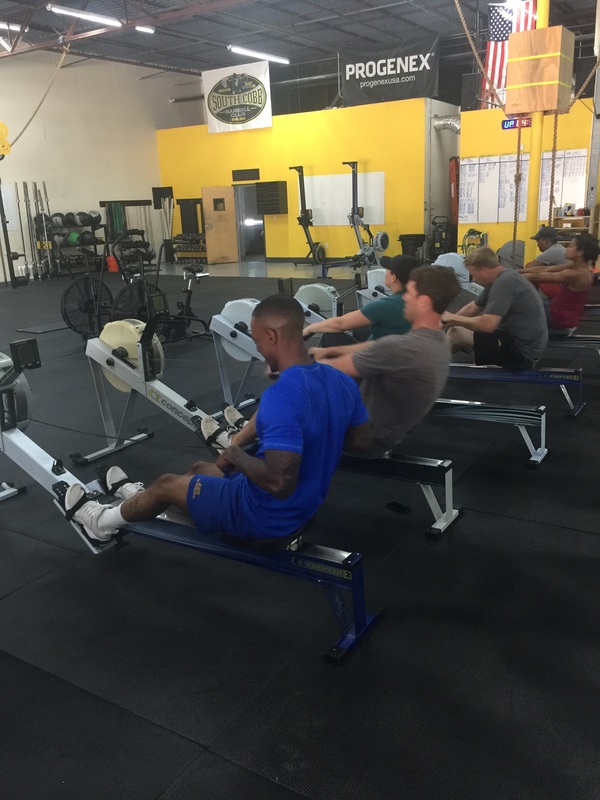 It’s a great opportunity to get involved with the competitive side of CrossFit while being in the comfort of your own box, friends, and coaches. 1. Strengthens the bond of your CrossFit community. Most athletes tend to stay on a consistent and predictable class schedule with CrossFit, so that means you see the same faces each time you come to class. Doing the Open on a Friday night allows you to meet and workout with fellow members you don’t normally see during the week. And anytime you sweat together as a group, you can build new relationships and strengthen current ones. Who doesn’t like popping a beverage after a fun workout and high fiving some new friends?? In your typical CrossFit class, most coaches just want you to be able to perform movements safely and comfortably. There aren’t too many instances where your Coach will “no rep” that Wallball that lands 3 inches below the intended target. Yes, a good coach should correct you during class but rarely will you see your workout time as a whole affected as a result of small misses in movement patterns. That won’t be the case during the Open! 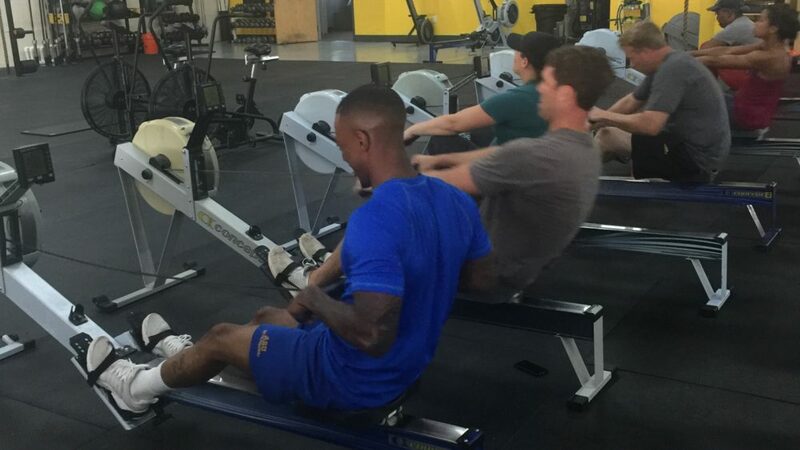 Each athlete is assigned an individual judge and rep counter to endure each movement is done with correct range of motion and correct amount of reps. This is a game changer for newer athletes, as you will be exposed to the strictest standards for each of the 5 Open workouts. Embrace the challenge of taking your game to the next level! 3. Increased crowd energy = increased work output. Have you ever heard a professional athlete say how much their home fans “carried the team to victory”? It’s a proven fact that sports teams have higher winning percentages when they play in front of a home crowd. Why? Energy matters! When you are surrounded by a mass of screaming fans pushing you every second of your workout, you WILL perform better in your workouts. It’s an experience like no other. When you do the Open with your box, you’ll experience that same euphoria, and it’s nothing short of amazing. 4. The Open is for everyone. You may be pretty cool with my first 3 points above, but still unsure about participating because of strength or ability concerns. Not to worry! Each time a workout is released, athletes will be given two versions: Rx’d and Scaled. With reduced loading and less challenging movements, the Scaled option will be designed to be accessible to the vast majority of athletes who train in CrossFit affiliates. Rx’d will challenge the world’s elite. So there you have it…now you can see why over 272,000 CrossFit athletes just like YOU participate in the Open each year. Why miss out on this awesome experience? If you’re ready to resister, just visit games.crossfit.com. 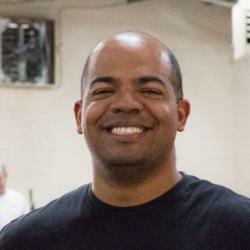 Miles is a CrossFit Level 2 Trainer and owner of CrossFit South Cobb. CrossFit South Cobb has been serving Smyrna, Vinings, and Marietta as a premier strength and conditioning facility since 2009.